One of the difficulties of living with teenage boys (of which I have three) is that it is impossible to keep food for any length of time. Well that's not true exactly; food that grew on a tree or in the ground can last a very long time. Other foods have an extremely short half-life around the house. Take chocolates, lollies, sweets and candy. If it actually makes it into the house it won't last very long at all. That can be annoying, especially when you've been looking forward to a well-earned sugar-hit after marking a bunch of student essays. What to do? As an occasional behavioural ecologist I figured that I should be able to do something. What I need to do is to make the food unappealing for the teenagers but not for me. Last week I was able to put my cunning plan into action. I visited the Re:Start mall (built of containers) in the wrecked centre of Christchurch. One of the businesses there is a grocer who specialises in importing foods. I am particularly fond of the occasional packet of chocolate disks, let's call them N&Ns, but so are my boys. However, at the grocer were several flavours that we don't normally get in New Zealand. I selected the coconut flavoured N&Ns as I knew my boys dislike that flavour whereas I quite like it. I took them home and left a couple of packets lying about. Sure enough they are still there a few days later - an unprecedented outcome. The concept of deterrence is also an important one for wildlife management. In New Zealand we have a number of mammalian pest species, such as possums, rats, stoats, pigs and so on, that cause a great deal of ecosystem harm. A major control strategy is to provide poison baits that the pests ingest and die from eating. Of course, you really don't want non-target species to eat these baits as well as they are usually the species that you are trying to protect. One non-target species that complicates control is the kea, the alpine parrot (Nestor notabalis). Kea are an inquisitive species and readily will try baits that are set to kill pest species. This is not a good outcome as kea are a threatened species. So much time and effort has gone into trying to make the poison baits aversive to eat. Researchers at Lincoln University, Carolin Weser and James Ross, have looked at this problem with kea. Previous studies have shown that having large sized baits can help as the birds find them difficult to handle but it is not feasible to use large baits in most control operations. There is some evidence that birds will not eat green fruits and it was suggested that if baits were dyed green that kea might avoid eating them. Weser and Ross set out to test this idea. 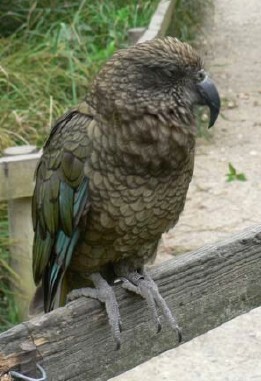 Kea from two Christchurch wildlife parks (Willowbank Wildlife Reserve and Orana Wildlife Park) were exposed to cubes of butter cake soaked in lard with non-toxic coloured dyes. Piles of each of the colours (red, yellow, green, mid-blue, dark-blue and brown) were placed on a tray and introduced to an aviary which held kea. Their behaviour was recorded for 30 minutes and the number of encounters with food, and actual food eaten, were identified. The trials were repeated several times and the order in which the colours were presented was changed. In a new paper published in the New Zealand Journal of Zoology, they found that colours had a significant effect on the selection of food by the kea. The kea preferred yellow a lot more than the other colours, then brown and red, then the two blues and finally green. Overall, kea only ate about 10% of the green bait as opposed to the yellow. Other studies have shown that the colour of the bait makes little difference to pest mammals (who are mostly nocturnal and don't use colour a great deal). So, this finding is promising in that a green bait will not affect the target but will reduce the amount eaten by the nontarget species. 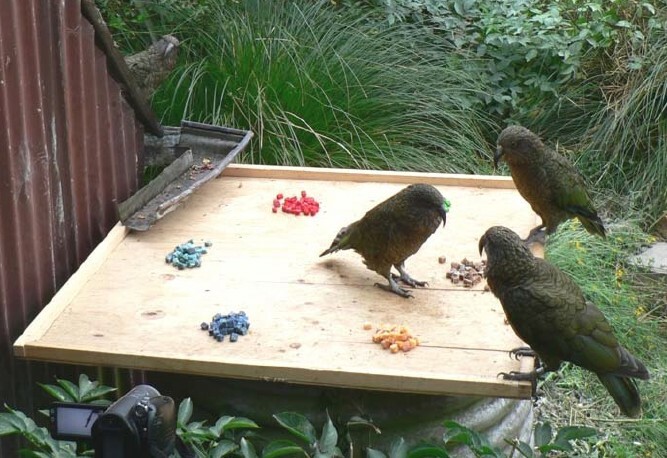 It's not fool proof yet, as kea would still occasionally eat enough bait to make them sick (or worse) but at least this is a step in the right direction. Right, I should head of home and see if my chocolate still survives. This blog post was written by postgraduate student Johanna Voinopol-Sassu as part of the course, Research Methods in Ecology (Ecol608). 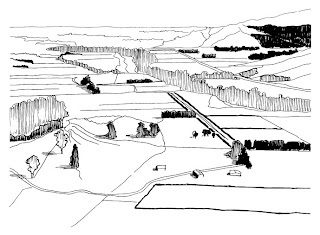 Johanna revisits a Lincoln University research area that examines the New Zealand rural landscape published in 2000. The title indicates the authors` ambitious goal for a new rural landscape. Indeed they call their aim a vision. The authors emphasize the discrepancy between pristine, wild areas, which are often located in national parks and are well preserved, and the agricultural areas/landscapes which are non-native and less suitable for indigenous species. These different landscapes are natural or human-made, with little in between. The goal of the proposed changes (transformation) is for human and native species to enjoy the features of both nature and culture in rural parts of New Zealand. Certainly, most landscape ecologists and nature conservationist have this…let`s call it a “dream”... of a cultural country bursting with biodiversity. But why is it so difficult to realise this? 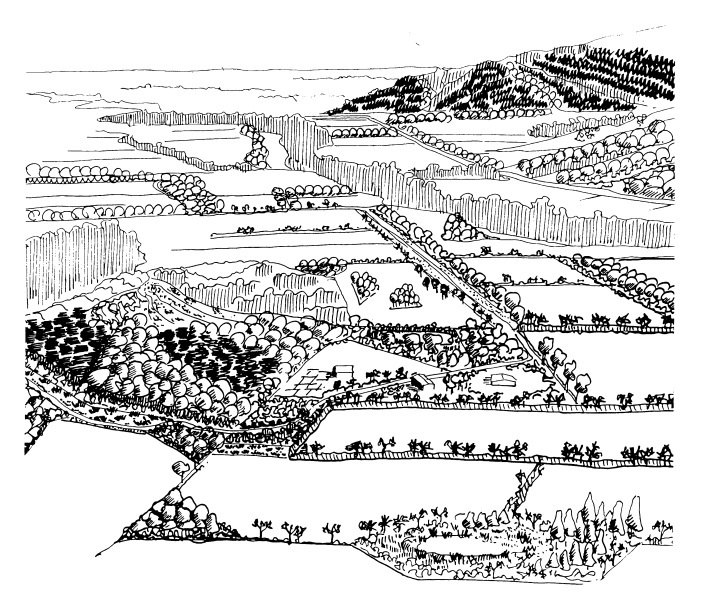 The authors promote the aspiring idea that culture itself could become the main driver for nature conservation with an essential part of this being landscape restoration and landscape ecology. If local people value and identify with an ‘indigenous species dominated nature’ (which means: nature, where most species are native), they will engage with increased efforts to conserve and improve their beloved home land. The question that comes to my mind is whether it is somehow naive to believe that people will change their preferences about their surrounding landscape? I believe that many do not care or do not give priority to what they see out of their front door, because their mind is mainly occupied by other issues: work, family, etc. The authors admit that people might not accept changes to their well-known “European” like countryside. Furthermore, we cannot expect people, especially farmers under commercial pressure, to act without incentives. There must be governmental support and frameworks in place, both in finance and knowledge. The government has a large responsibility to design a healthy environment. Let`s glance at one example. The Ministry for Primary Industries (Ministry of Agriculture and Forestry and the Ministry of Fisheries combined April 2012) is a main driver in developing rural areas. One of their programs is the: “Sustainable Land Management Hill Country Erosion Programme”. The aim of the project is to improve protection of highly erodible land. (picture taken nearby Christchurch by Johanna V., 2012). There are many hills like this in Canterbury. The Ministry for Primary Industries’ website does not explicitly mention native tree species as part of the solution; instead they use vague language like “building technical capacities”. Where is the link between sustainable agriculture and nature conservation? Is there any? It is not easy to evaluate whether New Zealand’s rural native biodiversity increased or decreased the last decade. 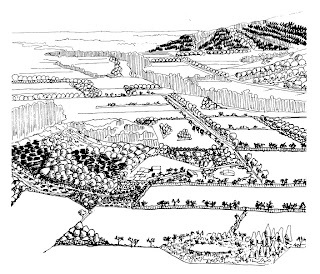 For example, the big dairying boom happened, with the stripping of woodlots and shelterbelts to make way for centre point irrigators. If anything, much of New Zealand’s rural landscapes are even more simplified and less native than when this article was written. On the other hand, there are some promising programmes underway to restore native vegetation along water ways. It is even more difficult to guess in which direction New Zealand cultural landscape will develop. But as the article admits, it might take centuries until (semi-) native biodiversity dominates New Zealand’s rural areas. This blog post was written by postgraduate student Thomas Wabnig as part of the course, Research Methods in Ecology (Ecol608). Thomas revisits a Lincoln University research area on the use of toxins for possum control published since the early 1990s. Looking at a picture from one of New Zealand's National Parks, we can see a lot of different tree species. When we go out and count the trees we would come up with a number, called “tree-species-richness”, that is a measure of diversity. Different areas have different diversity. Why is it that certain places have more tree-species than others? In 1999 research was carried out at Lincoln University to explain why this could be. 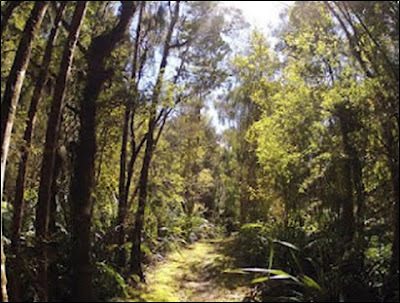 The research found that forest-turnover and tree-species-richness in New Zealand's temperate forests were related to each other just as had already been observed in tropical rain-forests. Besides understanding this relationship it is also important to find an explaination for it. The findings of this paper are still valid and help to understand long term changes in New Zealands’ forests. Mortality and recruitment are the main factors that contribute to forest-turnover (change of species). It has been observed in the past that high turnover leads to an increased species richness. Disturbances, such as wind, snow or disease, have an influence on the mortality and lead to a higher turnover rates. Understanding these relationships is important in order to explain national-scale diversity patterns more comprehensively. The relationship between disturbances and diversity was investigated in the 1970s and led to the formulation of the “intermediate disturbance hypothesis” that states that diversity is highest when disturbances are neither too frequent nor too rare. Hence the 'right' level of disturbance is important and could be the result of seasonality that increases with increasing latitude. This means that tropical rain-forests have more stable weather-conditions throughout the year whilst New Zealand has a distinct change of seasons with occasional cyclones. The seasonality on the one hand might constrain the proliferation of vermin and on the other sometimes generate minor disturbances. Overall, the interaction of mortality and recruitement (forest-turnover) as a result of disturbances and seasonality is a model of trying to understand the complex relationships between them and explain tree-species-richness in New Zealand. The dynamics of all those factors (mortality, recruitement, forest-turnover, species-richness, latitude) is still the subject of current research and raises a many new questions, such as the impacts of insects or browsing animals on tree-mortality. In fact, an ultimate explanation has yet to be found and current and future research will continue to look for answers that explain those dynamics.